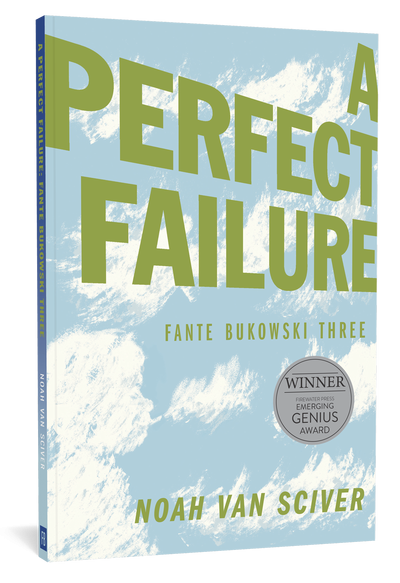 After another year of living in the great American Midwest, self-styled literary superstar-to-be Fante Bukowski engages in a final showdown between his father and his dreams, is hired to ghostwrite a teen celebrity’s memoir, and attends his first local zine fest. 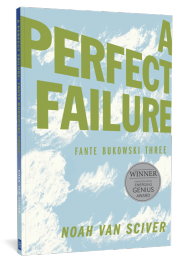 Meanwhile, there are hidden forces working behind the scenes to push Fante Bukowski into the critical and financial success he’s always longed for, despite his continued lack of talent. In this third and final installment of the fan-favorite series, Van Sciver once again seizes the opportunity to skewer his symbol of the self-important male figure. With an ear for hilarious dialogue and no end of grist for the mill, Van Sciver’s pointed skewering of literary pretension and fatuous “mansplainers” has garnered multiple Eisner Awards nominations and made Bukowski more popular than he could have ever hoped.